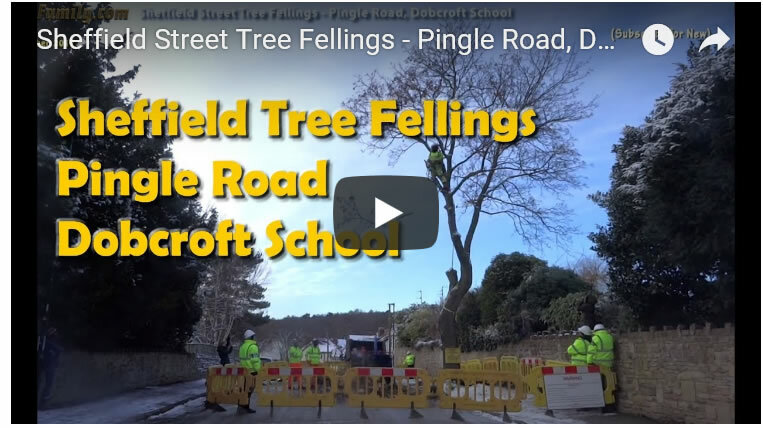 Sheffield Street Tree Fellings - Pingle Road, Dobcroft School Night Attacks! Sheffield tree fellings resumed this week after a 4 week pause following the Mayhem on Meersbrook Park Road on the 22nd of January 2018. Whilst the police have been taking a heavy handed attitude towards the protestors this week. It's what's happening elsewhere that has children weeping on their way to School as they walk past trees that have been attacked and mutilated during the night, literally drive by fellings, leaving behind butchered trees as is the case on Pingle Road at the end of which sits Dobcroft Infants and Junior School. 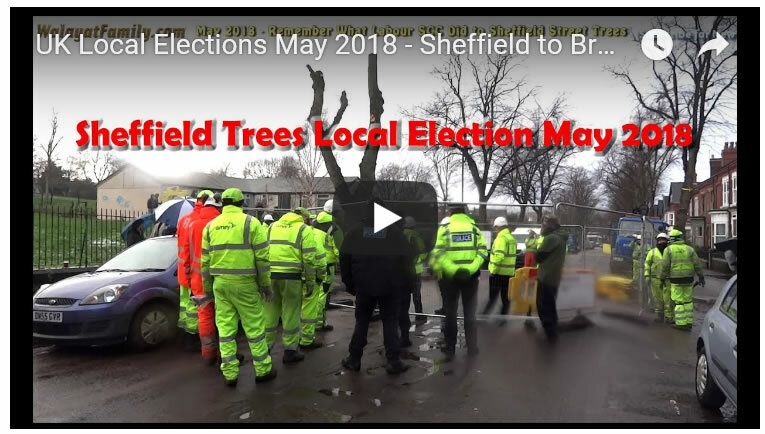 So after a 4 week break the felling of mostly healthy Sheffield street trees resumed on Monday 26th Feb, as streets such as Meersbrook Park Road. 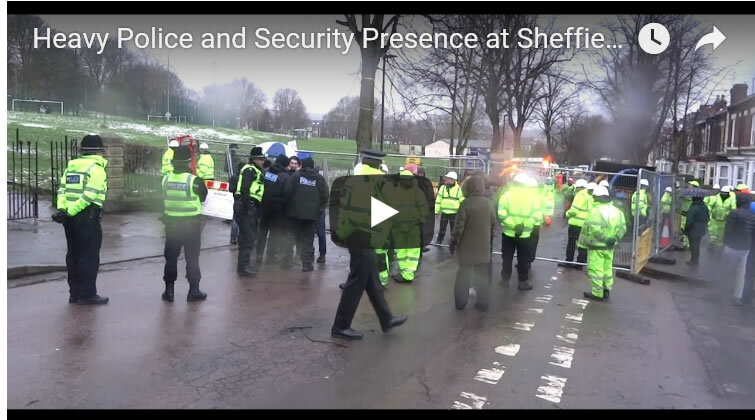 Thornsett Road and Chatsworth Road are being flooded with police and SIA security personnel tasked with ejecting any peaceful protestors from the cordoned off zones around trees ear marked for destruction. Therefore as was the case a few weeks ago, the protestors are now even more outnumbered by SIA security and police then in January. 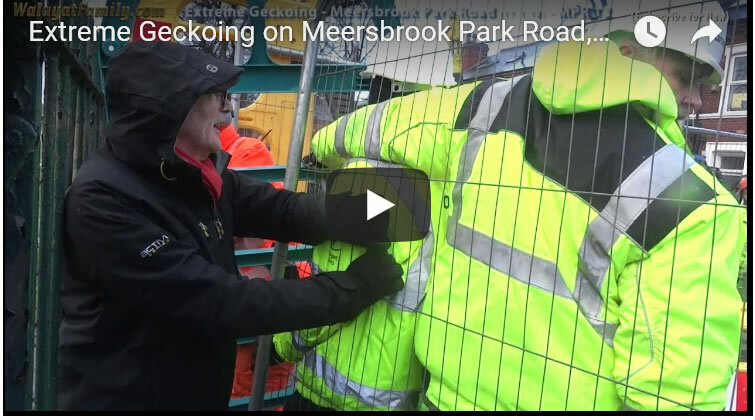 Continuing with threats are a string of council headed legal correspondence sent to prominent campaigners warning of costly court actions against named protestors and also handing out the same legal threats to people at the felling sites this week, though apparently in many cases without accompanying evidence that matches the allegations being made, with the police earlier issuing statements warning of taking a heavy handed attitude towards protestors in support of SIA security personnel in their use of force against protestors that they have been implementing resulting in numerous arrests and injured protestors. 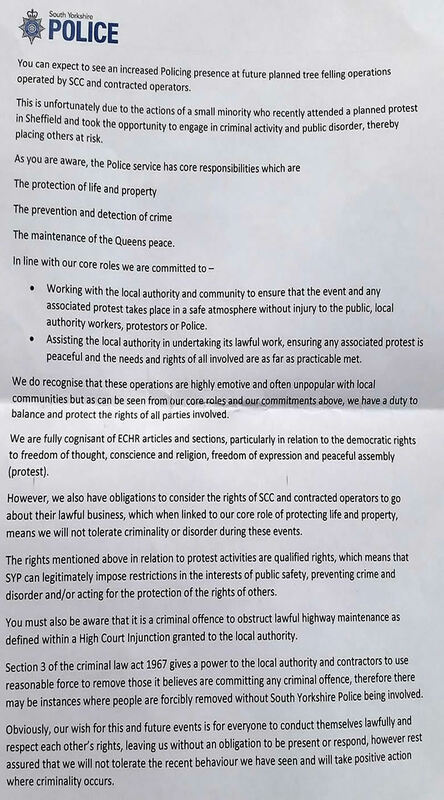 A message that had been iterated across local media including the BBC's Toby Foster radio show which featured Assistant Chief Constable David Hartley "Our role here is to be really really independent. So when we look at what is the evidence coming from the scene, we make a judgement and we take all legal advice around that, what is reasonable force, there's an injunction in place. SIA trained security, we work with those routinely. As you will well know in the nighttime economy you have SIA trained staff. 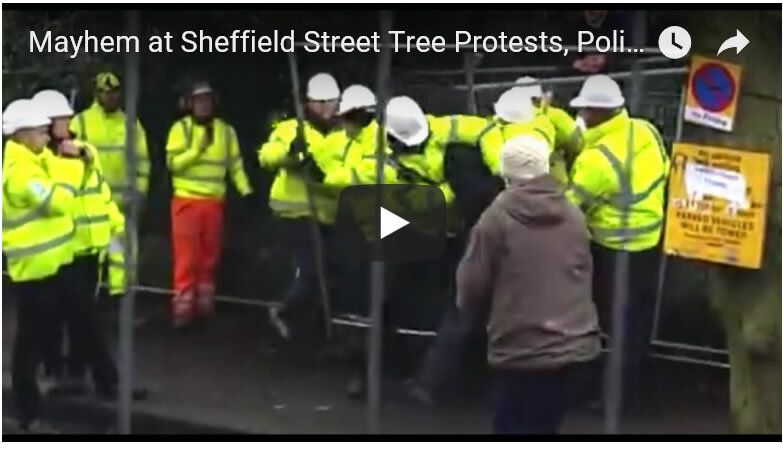 They have to be fit and proper and they're trained around their role so we look at that and we make an assessment around is what they're doing reasonable, is it reasonable force within the bounds of the injunction"
Sheffield's peaceful tree protestors are definitely facing their darkest hour as the establishment has decided that the tree protests will be brought to an abrupt end through use of force. All this whilst Sheffield's Weston Park Museum celebrates 200 years of protests in Sheffield. 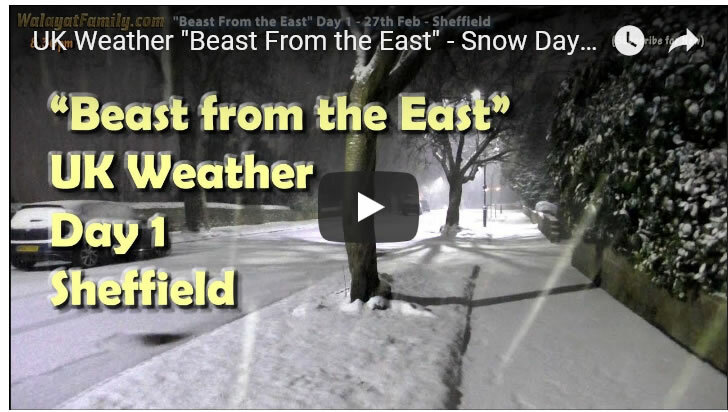 Will The Bunny / Beast from the East Halt Street Tree Fellings?